Mike Lamberti, From Margate To Cleveland, And Back ! | A look at sports, politics, A Summer Place at Margate, Montgomery Inn ribs, Rigatoni Quattro Formaggi at Patsy's, Air Force Academy football, 90210, the Cardinals and Rays, The Godfather, Jaws and Airplane! trivia, Hooters wings, the Browns first Super Bowl, or whatever else comes up…. He was a part of two state championship football teams at Wayne Hills. 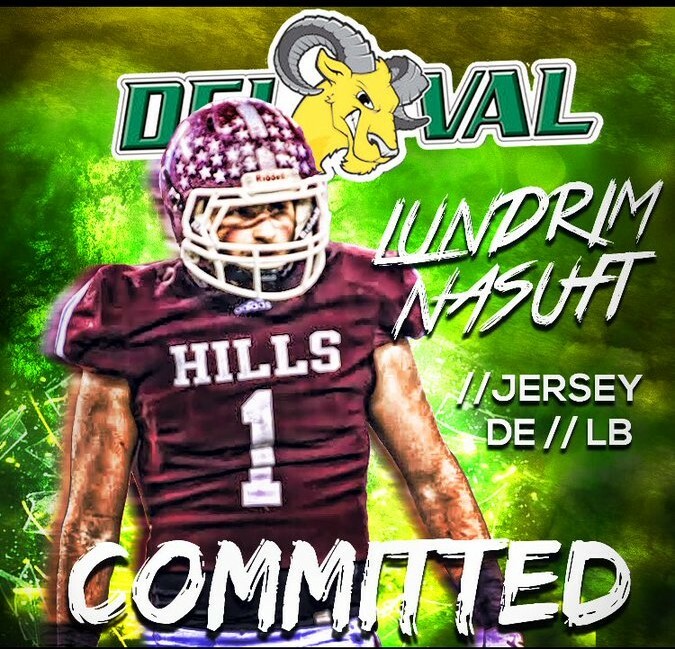 And now, Lundrim Nasufi will get the chance to pursue a dream by playing football on the collegiate level, starting this fall. Nasufi will play at Delaware Valley University this fall and join Hills teammate Anthony Puntolillo at the Doylestown, Pa-based school. Nasufi is the ninth senior on the 2018 Wayne Hills roster to commit to playing football on the collegiate level. 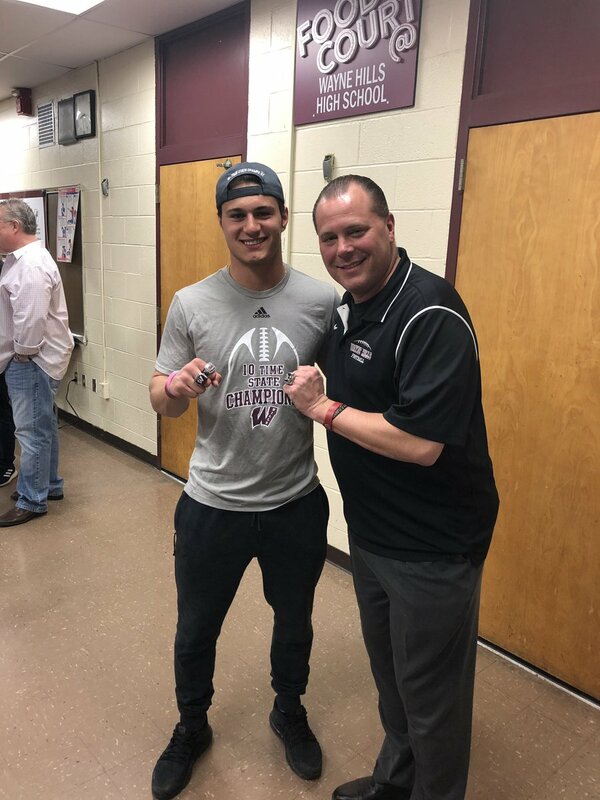 The son of Dee Nasufi, Lundrim played a huge role in Wayne Hills’ 2018 season, as the Patriots won the program’s 10th state sectional championship, as well as the first North Group 4 Rothman Bowl game, at MetLife Stadium, when Hills defeated Phillipsburg, 35-21. Wayne Hills finished 11-2 last fall. Nasufi, a linebacker, led Wayne Hills in tackles last season, with 99, including 16 hits for losses. He also had seven tackles and two passes knocked down. For his career, Lundrim recorded 135 tackles. Having played at Hills for four years, Nasufi feels he’s ready to play at the next level. Demikoff is excited about Nasufi’s decision. Nasufi will continue to work on strength and speed, as he prepares for the upcoming season. Wayne Hills has had a long success rate with sending football players to college and this year is a good example. While Nasufi and Puntolillo will play at Delaware Valley, Adam Abida will attend the University at Albany, Joe Rondi is headed to Syracuse, Bence Polgar will play at the University of Buffalo, Joseph Mongelli is going to play sprint football at Caldwell University, Jaaron Hayek is going to Villanova, Charles Njoku will play wide receiver at UCLA and quarterback Tom Sharkey will attend Kutztown University. Montclair had turned a few heads when it rallied from 11-3 down, in the sixth inning, on April 9, to surprise Columbia, 15-12, in a game that head coach Mike Goldstein called one of the most bizarre games he had ever seen. Nine days later, the Mounties won what Goldstein called the best game he’s coached in, when Montclair rallied from an early 5-0 deficit to stun Nutley, 10-8, in a game at Nutley which was actually Montclair’s home game. Montclair improved to 6-3 as the young team continued to swing an aggressive bat. Goldstein is in his second year as the team’s head coach. He was an assistant in 2017 and also served as an assistant coach to Dan Roberts, who held the head coaching job from 2013-2014. Nutley (4-4) was actually playing its second game of the day. 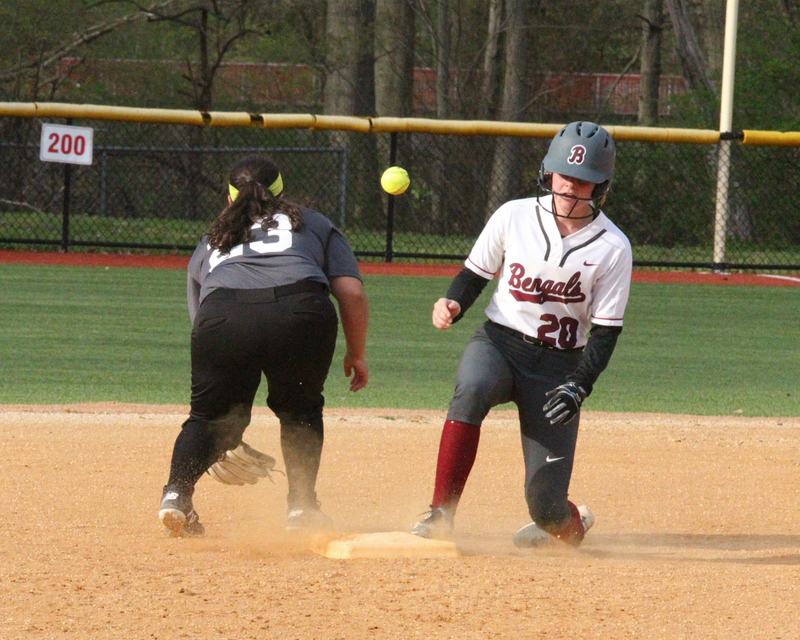 The Raiders had edged Lenape Valley, 3-2, in 9 innings, on its home field, as freshman pitcher Fallyn Stoeckel spun a complete-game, 5-hitter and scored the game-winning run. Remi Antinoro, a freshman, had two hits and two RBI, while Francesca Testa scored twice, Charlotte Carr had three hits and drove in a pair and Milani Davis had two hits for Montclair. Aliyah Andrews overcame a shaky first inning to pitch a complete game for the Mounties, giving up just one run over the final five innings. 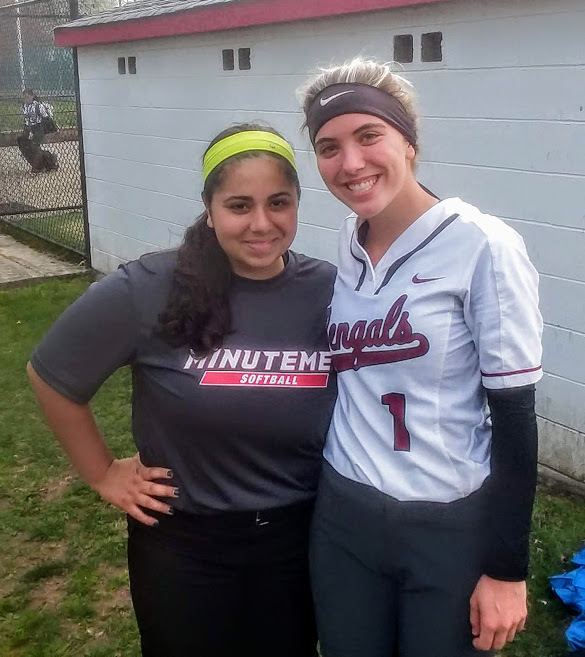 History in softball do go hand-in-hand, as do friendships between opposing players, many of whom are club teammates in the summer. Such is the case between Newark Academy’s Sam Burggraf and Bloomfield’s Lexi Corio. 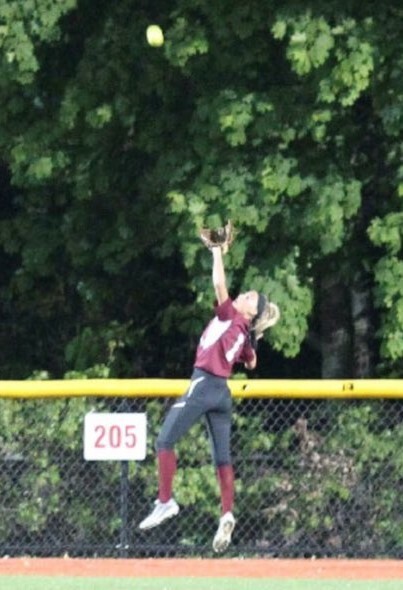 In a 2016 game at Clark’s Pond, in Bloomfield, Burggraf, then a freshman, hit what appeared to be a homer, only to see Sam Corio, Lexi’s older sister, make THE CATCH, reaching over the centerfield fence to deny Burggraf a homer. Nearly three years later, Lexi, a junior pitcher, faced Burggraf, at The Pond, and this time it was Burggraf who did hit a homer. Corio would also play a good game for the Bengals, as Bloomfield won, 18-12, to improve to 6-3, after a slow start to the 2019 season. Afterward, Burggraf and Corio, who play club ball in the summer, were all smiles, looking back at some good memories and thinking ahead to another meeting between Bloomfield and Newark Academy this season, and what should be some good times this summer, when they both wear the same uniform. 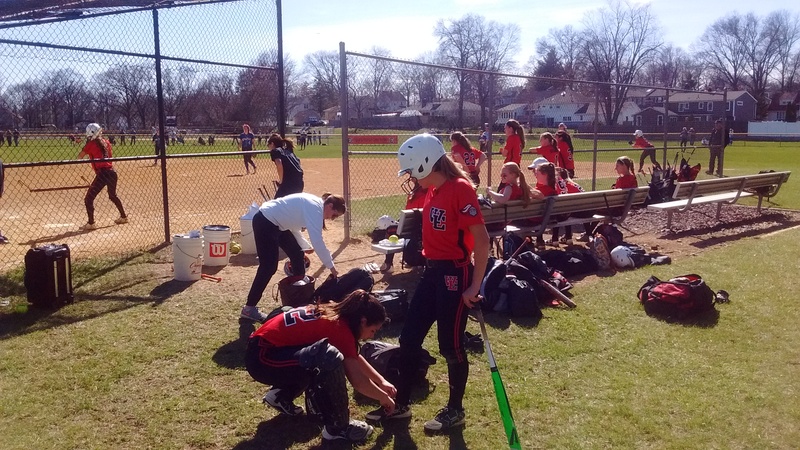 Ryleigh White pitched a 2-hitter with 10 strikeouts and Ashlynn Corra was 2-for-3 with a homer, three RBI and two runs scored as Immaculate Heart Academy improved to 9-0 with a 10-0 win over Ridgewood, in 6 innings, at IHA. 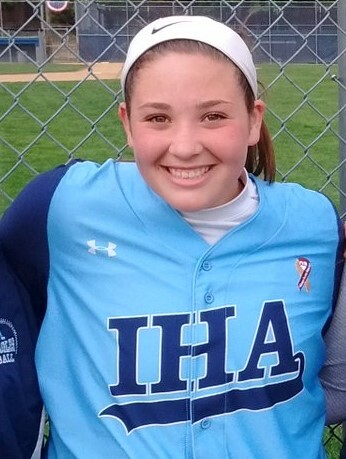 Emily Gyongyosi scored three runs for IHA, who will be back in action on April 20, playing Mount Olive, in Saddle Brook, at noon. 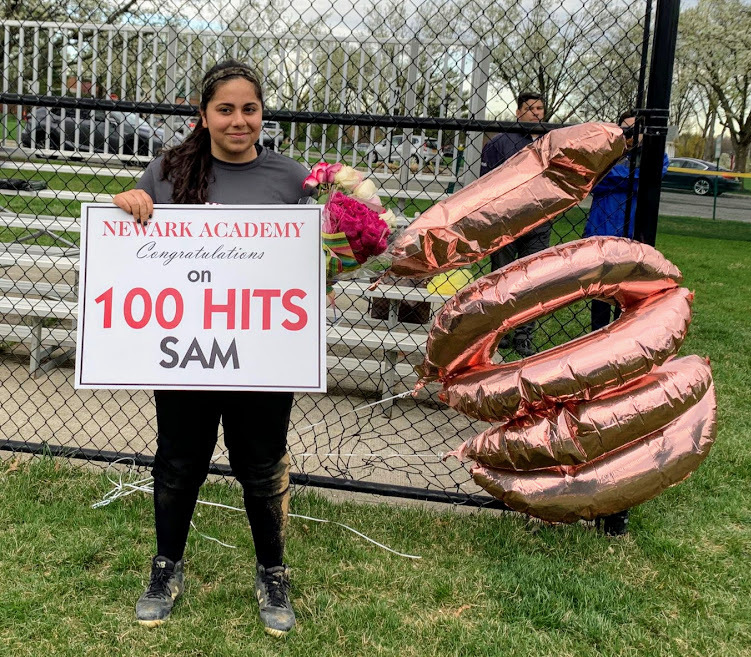 Newark Academy had a chance to celebrate one of its best players when senior Sam Burggraf collected her 100th career hit, in a game against Montclair, at home, on April 16. The articulate and reflective Burggraf had a chance to look back at what got her to the century mark, as well as a bright future, which includes her college selection of Babson College, in Wellesley, Massachusetts, beginning this fall, where she’ll continue to play softball. “My 100th hit was truly meaningful to me, because of what it symbolized,” said Burggraf. “Softball entails a lot of ups and downs, and playing with such great teammates ensures that you have a great support group to cheer you on and pick you up, no matter what. Burggraf has been Newark Academy’s third baseman since her freshman year. She’s been one of the team’s best power hitters since 2016. One of the first people to congratulate Burggraf on social media was Samantha Corio, a good friend of Sam’s, who played for Bloomfield High. In 2016, Corio, then a senior, made a catch for the ages, when she cleared the centerfield fence to deny a homer. The ball was hit by Burggraf. And, ironically, Corio collected her 100th career hit in that same game. The daughter of Andrea and Gary Burggraf and granddaughter of Rich Badishkanian, who never misses a game, Sam is very appreciative of her family’s support. Essex Softball: FMTC Top 10? After the top 2, it’s hard to tell; Will there be a Newark Academy, or Montclair in this year’s Essex County Tournament? So far, the 2019 high school softball season has been a 2-horse race, as Cedar Grove and Mount St. Dominic, last year’s Essex County finalists, have established themselves as the best teams. And it’s not even a question. But a lot can change, too. The Essex County Tournament (ECT) should be seeded in the next few weeks, and it will be interesting to see who is seeded 3-9, for example. But let’s not forget that over the years, surprise teams have made serious runs in the county tournament. In 2012, Newark Academy rode in from the play-in game to earn a berth in the semifinals. Along the way, coach Sergio Rodriguez’s team defeated a defending county champion. Four years later, Phil Delgado’s Montclair squad, which started the season 3-13 and were eliminated from the NJSIAA Tournament, made a late-season surge, which included an appearance in the ECT final and an upset win over a 2-time defending county champ in the quarterfinals. Right now, it’s difficult to find one of those teams in 2019, but that’s what makes this fun. There are a number of good squads who could get on a roll, and if that’s the case, then this season could be interesting. For now, the Top 10 is hard to pick, past the top 2. Here’s my look at it. 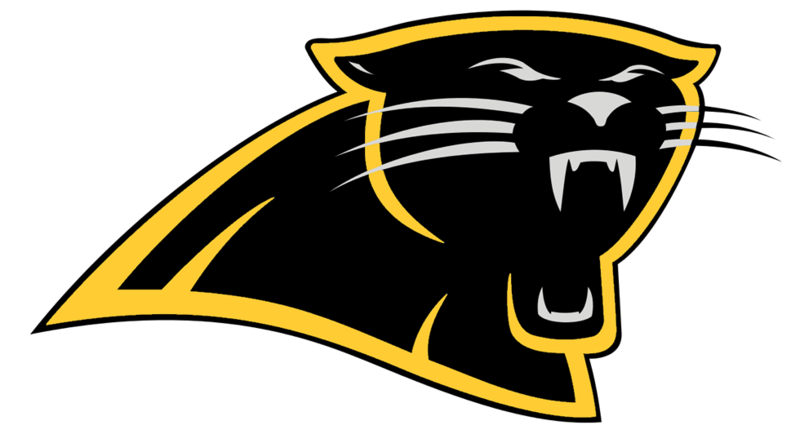 1-Cedar Grove (10-1): Panthers have recorded five straight shutouts behind the pitching of senior righty Mia Faieta. They’ve allowed two runs, all season, against NJ-based opponents. A second meeting against Mount St. Dominic is set for April 22, in Caldwell. A third meeting could occur in the county final, for the second straight year. 2-Mount St. Dominic (11-2): Lions continue to hit the ball well and won two big games in its annual tournament last weekend. 3-Nutley (3-3): Raiders will start getting busier with games this week, including a doubleheader on April 18. Good pitching will keep this young team in close games. Nutley avenged an early-season loss on April 17, defeating Verona, 3-0. 4-Caldwell (6-3): The Chiefs have a good top of the lineup and effective pitching, which will keep them in games in a tough conference. 5-West Essex (3-6): Knights hit a tough patch last week, but hope to get back on track behind the pitching of Julia Vardiman. 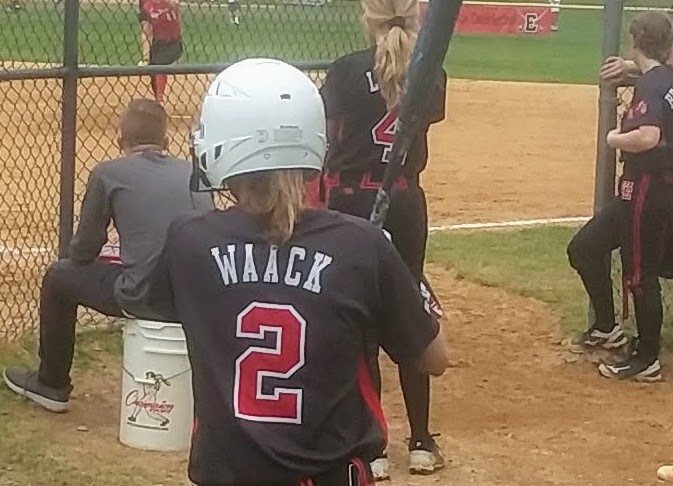 Might be one of the best names in high school softball. 6-Verona (4-6): Hillbillies can be a dangerous team down the stretch, with good pitching and solid defense. 7-Livingston (7-3): Lancers have lost to three good teams in Mount St. Dominic, IHA and Hunterdon Central. A tough schedule should help this team when it comes to county and state tournament action. 8-Columbia (5-3): Cougars will battle in each game. It faces a big test against Mount St. Dominic on April 18 and then travels to Livingston on April 22 for a must-win game if it hopes to compete for a conference title. 9-Bloomfield (5-3): After a slow start, Bengals have begun to play well, with three straight wins, through April 17. Team has a big contest at Ivy Hill Park on April 20, against Indian Hills. 10-Montclair (5-3): Feisty Mounties are never out of a game, with aggressive hitting. Belleville improved to 8-0 with a win on April 17. The Bucs also hosted a wonderful tournament, on April 13. to honor the late Dina DeAquino, a legendary pitcher for the team from 1981-1984. 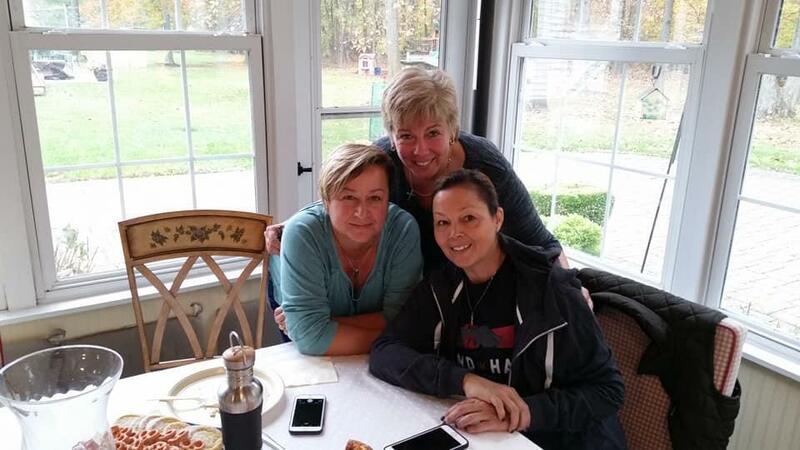 There’s more on ‘A Day for Dina’ by clicking on the link below. 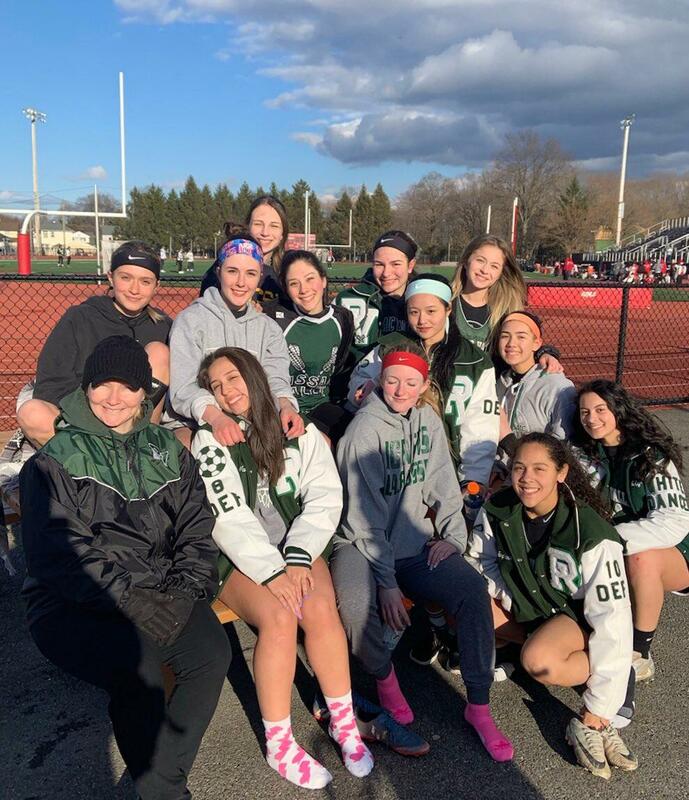 Coming off a good season in 2018, the Passaic Valley girls lacrosse team is hoping for continued success this spring. Head coach Lori Demsey’s team opened the regular season on March 27, with a loss at St. Elizabeth, in Madison. The Hornets were 3-4 through games of April 13. PV was scheduled to host Pascack Hills on April 15 and were to visit Northern Valley/Demarest, on April 17. On April 24, PV visits Wayne Hills, at 4 p.m.
Passaic Valley was 7-8 last spring, the most wins in the program’s history. This year, Demsey is encouraged by a good nucleus of returning players. Among the returning players on offense are team captains Catherine Bennett and Nell Grabowski. The coach also noted the speed of Trinity Toerock, the sharp shooting skills of Victoria Langevin, and the height of Abigail Shaw to generate goals. On defense, PV goalkeeper, Zoe Weigele will be strong between the pipes and will keep the Hornets in close games, according to Demsey. “Team captain Lara Mazza-Hilway will lead the defense with Olivia Shpiruk, Emme Nguyen-Tran and Cammy Hyde,” said the coach. After losing its first two games, PV responded with a pair of wins, defeating Saddle Brook, 13-3, and Passaic Tech, 12-6. Most recently, the team defeated Paramus Catholic, 15-4. Bennett had a huge game against Saddle Brook, with six goals, while Grabowski had three goals and an assist. Langevin and Toerock had two goals each and Toerock also recorded three assists. In goal, Weigele finished with nine saves. Bennett was outstanding again versus Passaic Tech, finishing with nine points, on seven goals and two assists. Grabowski scored four times and had an assist, Toerock finished with two assists and Weigele had 11 saves. Grabowski had three goals in a 7-4 loss to DePaul and Bennett had four goals in a 13-7 setback to Fair Lawn, on April 11. Versus P.C., Bennett had a game for the ages, scoring 11 goals while Grabowski scored twice and Stephanie Ortiz and Shpiruk scored once each. In addition to her 11 goals Bennett also assisted on two other tallies while Ortiz had three assists and Grabowski, Langevin and Toerock registered two assists each. 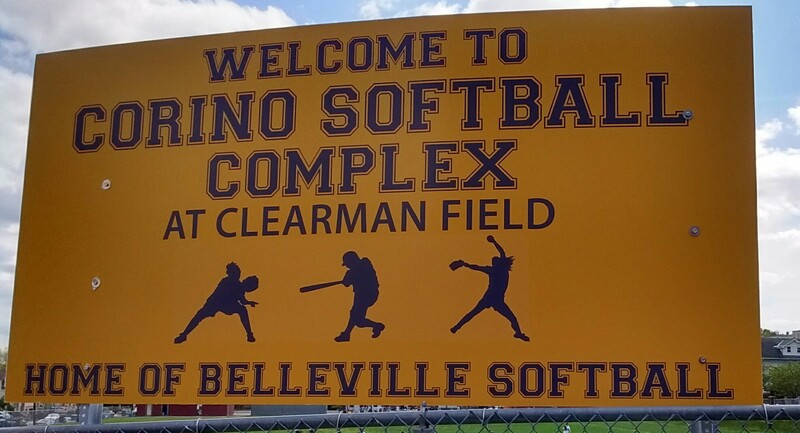 Belleville High School not only hosted a 6-team tournament on April 13, at the Corino Softball Complex at Clearman Field, it also brought back past memories of tremendous teams, while honoring one of its best all-time players. 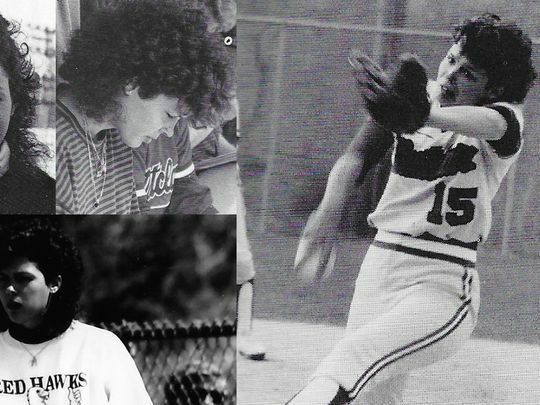 The tournament, dubbed ‘A Day for Dina‘, was a testimony to the late Dina DeAquino, the one-time standout pitcher who propelled the Bucs to its greatest run in program history. DeAquino, who passed away at the age of 52 last year, was a star from 1981-1984 for head coach Carl Corino’s team. The Bucs won the 1982 and 1983 Essex County Tournament (ECT) championship and appeared in the ’84 final, as well. For that matter, Belleville was a 9-time ECT finalist in the 1980’s. 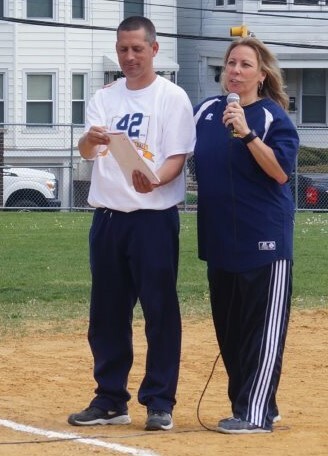 Current head coach Chris Cantarella was eager to set up a day to honor DeAquino, especially on the 35th anniversary of her senior year at BHS. DeAquino was also a standout tennis and basketball player for the Blue and Gold. “I was really hoping this would turn out well, and it did,” said Cantarella, himself a BHS grad. “The crowd was tremendous, we ended up having good weather after a lot of rain the night before, and the morning of the tournament. It should be noted that the Corino Softball Complex looked especially vibrant. Cantarella agreed about the field looking good. “A lot of work went into the field during the off-season, and it really looks good,” said the coach. There were three games, with each matchup having a significant meaning. Belleville started the day by playing Leonia, where DeAquino was once that school’s athletic director. 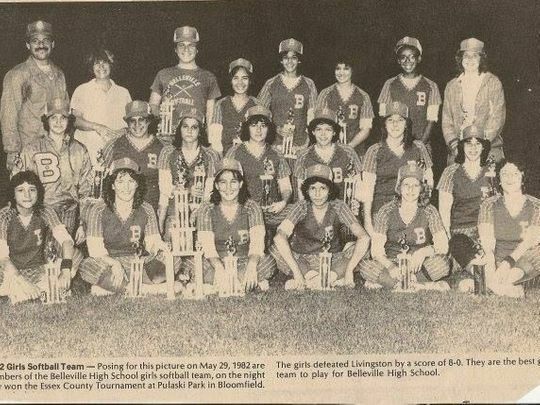 Following that contest, Cantarella hosted a ceremony in which a few people spoke of DeAquino, including Corino, as well as Cheryl Marion, who played with DeAquino at BHS from 1982-1984 and was later Belleville’s head coach, in 1994. The third game featured Hanover Park against Fair Lawn. Hanover Park’s head coach, Jamie Galioto, is also a Belleville High graduate and was a standout baseball player for the Bucs. 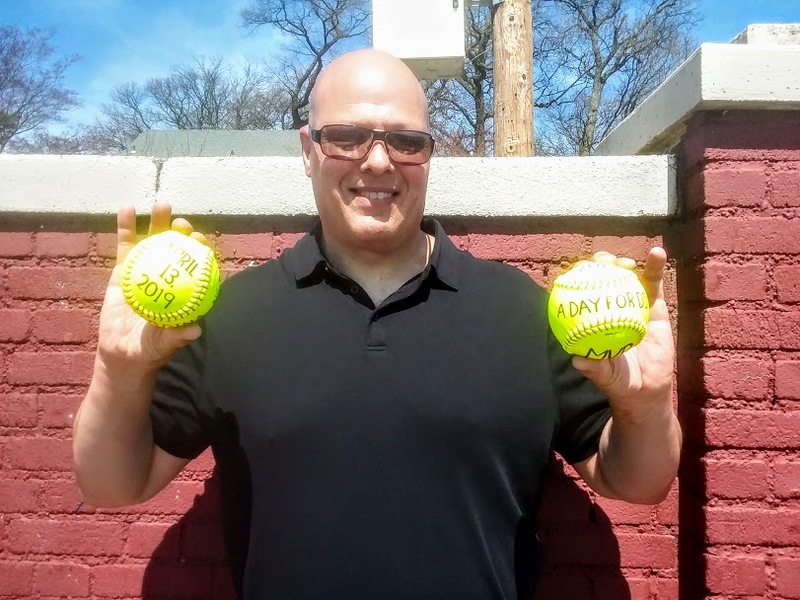 Before becoming an athletic director at Leonia, DeAquino was a softball coach at Fair Lawn. 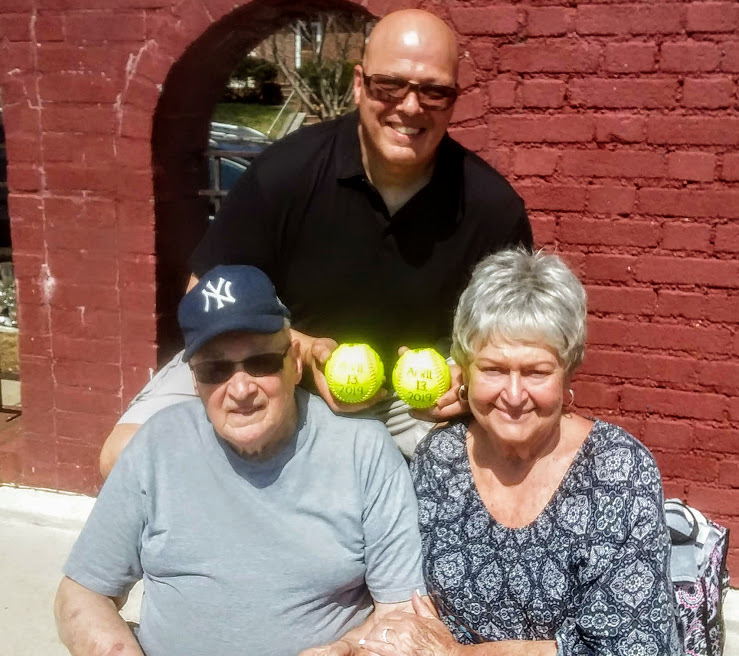 Among the DeAquino family members on hand were Dina’s dad, the legendary Tony DeAquino, as well as Dina’s brothers Paul and Anthony, and her son, Jake, who threw out the ceremonial first pitch before the Cedar Grove-Union Catholic game. A number of Dina’s teammates and friends were also there, among a large crowd. Among the fans on hand was Mary Wilson-Grimes, whose daughter Kristin Wilson, was a star for the Bucs from 1998-2001 and guided the ’01 team to the North 2, Group 4 championship and an eventual trip to the Group 4 final. A huge Mets fan, Wilson-Grimes made an interesting comparison to DeAquino’s legacy. On the field, Belleville improved to 7-0 by defeating Leonia, 6-3. Nathalie Marin was 3-for-4 with two runs scored, an RBI and double for the Bucs while Krystal Medina and Cherylann Nicosia had two hits each. 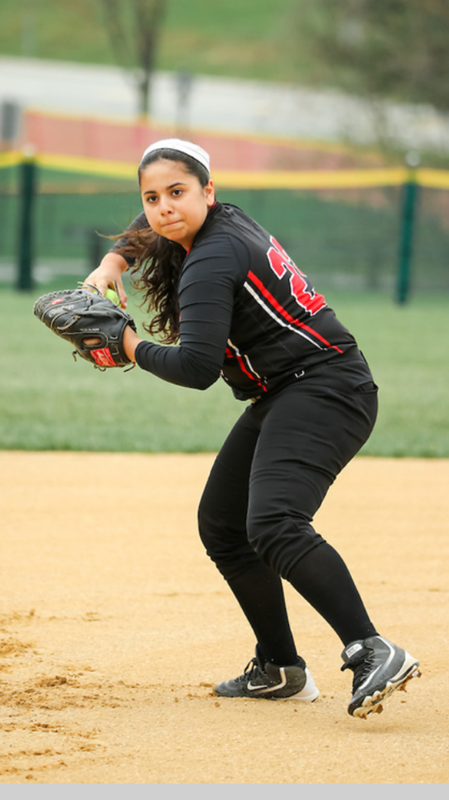 Charlotte Colon pitched a complete game for Belleville, striking out six, walking three and scattering four hits. It’s official. For the fifth straight season, the Wayne Hills football team will open its regular season with an out-of-state contest. This year, the Patriots will head to Columbia, South Carolina, to play Ridge View High School, on Aug. 30, in a 7 p.m. kickoff. Hills began playing out-of-state teams in 2015, when the team visited Graham High, in North Carolina. A year later, the Patriots were in the Florida Everglades, to play Pahokee High and in 2017 it was off to the Pro Football Hall of Fame, in Canton, Ohio, to face McKinley High. Last year, Wayne Hills took its longest trip, when it traveled to Provo, Utah, to face Timpview, and now, in 2019, the destination is Columbia, South Carolina. Wayne Hills head coach Wayne Demikoff was ecstatic with the opportunity to face Ridge View. Columbia is the home of the University of South Carolina, and Hills is hopeful of practicing on the campus, similar to the team’s chances to practice at venues such as Penn State, the University of Miami, Kent State and last year, at BYU. The Patriots will get a bye week after playing at Ridge View, and will then play arch rival Wayne Valley, on Sept. 14, at Valley. Hills will then visit Old Tappan, on Sept. 20, before its first home game, against Fair Lawn, on Sept. 27. The remainder of the schedule features home games against West Milford (Oct. 4), Passaic Tech (Oct. 25) and the regular season finale, against Indian Hills, on Nov. 1. The other road games this fall are at Passaic Valley, on Oct. 12 and Ramapo, on Oct. 18. 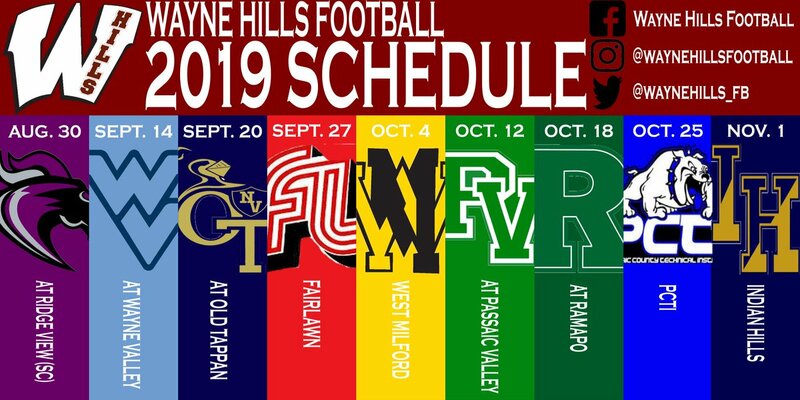 Because of the early start to the regular season, Hills will open its pre-season scrimmage slate in Pennsylvania, taking on Central Bucks High School South, in Warrington, Pa., on Aug. 17. The team’s other scrimmages will be at Phillipsburg and then the game scrimmage on the famed roof at Union City High School. 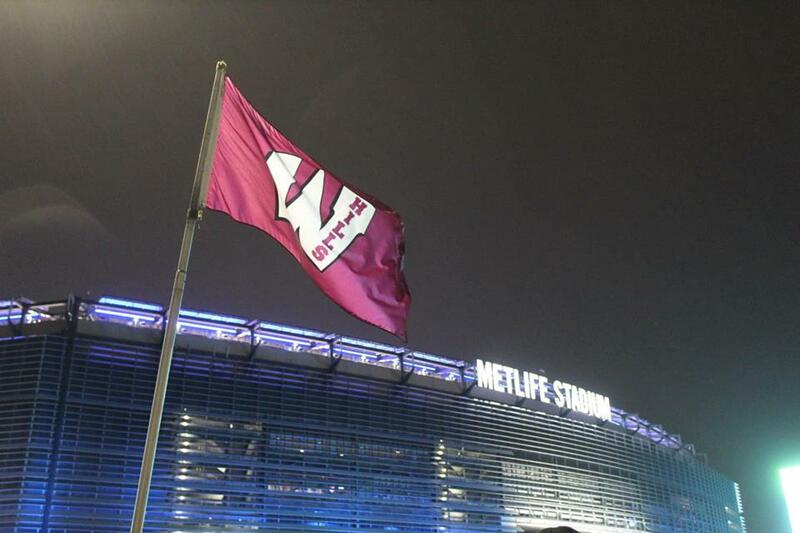 Wayne Hills had a tremendous season in 2018, winning the program’s 10th state sectional championship and climaxing an 11-2 season with a 35-21 win over Phillipsburg in the North Group 4 Rothman Bowl game, on Nov. 30, at MetLife Stadium. Caldwell softball coach Mike Teshkoyan has been at the helm, along with his brother, Mark, for over three decades. Along the way, Caldwell has won eight county championships under their tenure, as well as success in the NJSIAA Tournament, not to mention numerous conference championships. With the 2019 season underway, the Chiefs have moved up to the Super Essex Conference’s American Division, and with it, a tougher schedule. Caldwell picked up a big win on April 12, defeating arch rival West Essex, 6-1, in Caldwell. 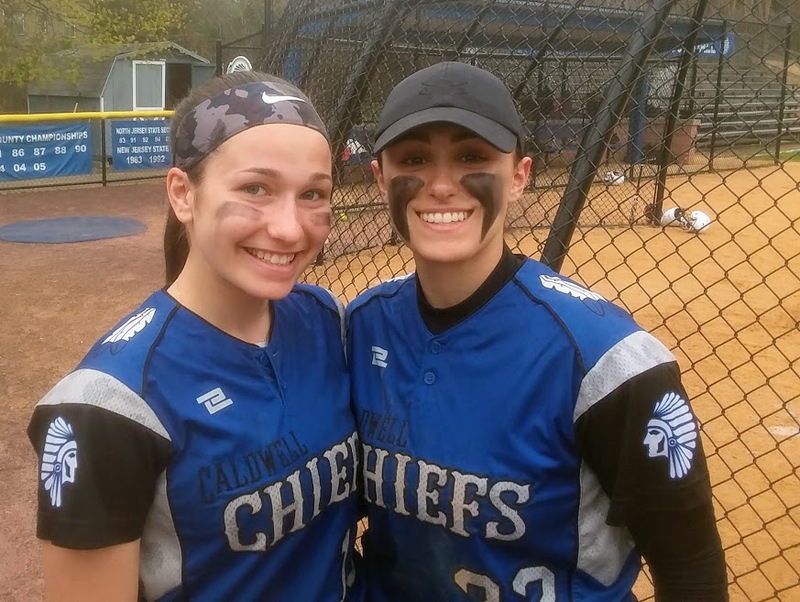 While the schools are located just 3.6 miles from each other, it was the first meeting between the two teams in three years and Caldwell’s first victory over West Essex since the quarterfinal round of the 2014 Essex County Tournament. Caldwell (5-2) was paced by junior shortstop Nicolette Luzzi, who homered in the first inning and later tripled. Luzzi also drew a pair of walks and scored three runs. West Essex (3-3) took an early 1-0 lead in the top of the first, but the Knights had trouble containing Luzzi’s play-making skills and Caldwell came through with some clutch hits, including a key RBI double by Caitlin Cetrulo, a freshman first baseman, to ignite a 3-run rally which extended Caldwell’s lead to 5-1. Caldwell pitcher Bridget Nichols tossed a complete game and scattered five hits, as the Chiefs won for the third time in its last four games. Ryleigh White of Immaculate Heart Academy pitched her second no-hitter in as many days, as the Eagles downed Clifton, 7-0, in Clifton. A day earlier, White, a junior right hander, blanked DePaul, 10-0, in a 5-inning, no-no. IHA (6-0) has been hitting the ball effectively, as well. Versus DePaul, Gianna Stirone and Cat Thomas had three hits each while Emily Gyongyosi, Cara Kochakian, Gabby Park and White had two hits each. Kochakian, Stirone and Mia Recenello also homered in the game. Versus Clifton, Kochakian, a freshman shortstop, was 3-for-3. After a scoreless game for five innings, Cedar Grove pulled away for an 8-0 win over Columbia, in South Orange. Gianna Bocchino was 3-for-4, with two RBI and winning pitcher Mia Faieta pitched a no-hitter, with 15 strikeouts for the Panthers. Cedar Grove improved to 7-1 on the season. Mount St. Dominic defeated Nutley, 5-1, in Nutley to boost its record to 7-2, while Nutley fell to 2-3. The Lions had 11 hits in the game. The Mount will host its annual tournament, on April 13, with an excellent schedule of games planned. Verona snapped a 2-game losing streak with an 8-1 victory over Millburn. Megan Meehan had four hits and Kate Ryan was 3-for-3 with four RBI for the Hillbillies. Quinn Thomas and Taylor Nemet had three hits each for Millburn while Abigail Policarpio had two hits. What promises to be an emotional few days, on April 13 and 14, will focus on the legacy of the EDSAF & Emerson Softball Benefit Tournament, at Emerson High School. The tourney was the brainchild of one-time Emerson softball coach, Steve Mondadori, and was held from 2004-2018. Its purpose was to benefit Ari Solimando, a 2004 Emerson High School graduate who was paralyzed in an accident in 2003. Ari was a catcher on Mondadori’s Emerson team. 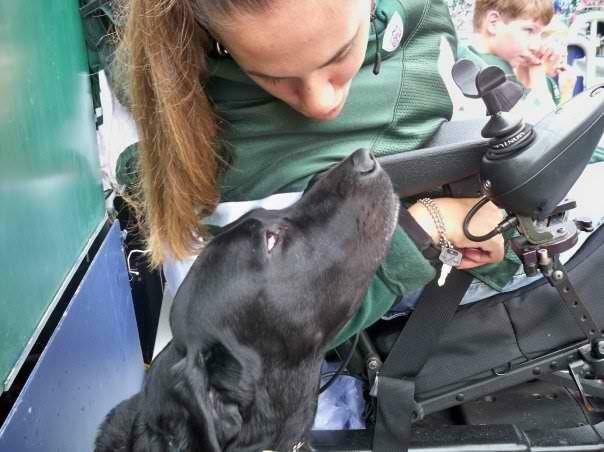 For many years, Ari would attend the tournament, with her beloved service dog, Nexus, by her side. In 2012, Nexus received an award from Steve for the canine’s tireless work. The event also brought more awareness to Canine Companions for Independence. 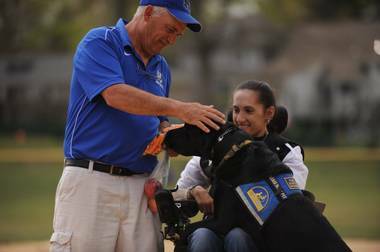 Steve Mondadori and Ari Solimando enjoyed a happy moment when Ari’s service dog, Nexus, received an award at the 2012 tournament. 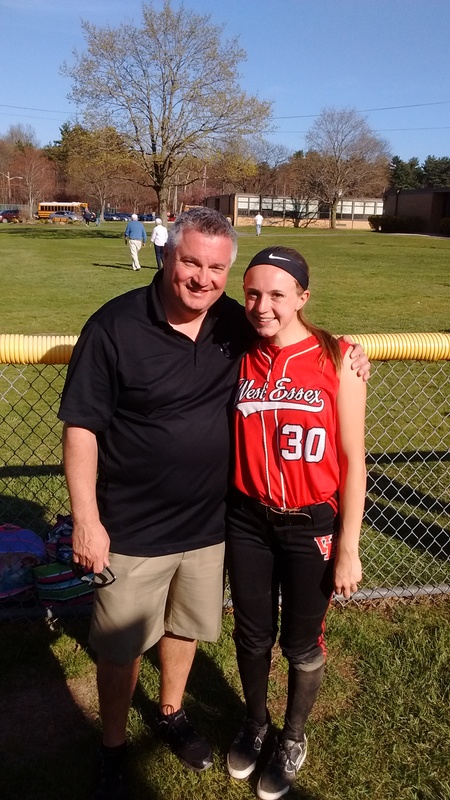 When the eldest of Steve’s three daughter’s, Andrea, became a softball coach and educator at West Essex, in 2005, the tournament would generally feature a final game between Steve’s Emerson squad and West Essex. Later, when Steve coached at St. Mary High, in Rutherford, the father-daughter rivalry continued. Steve retired as a head coach after the 2013 season. In 2016, he would join Andrea as an assistant coach at West Essex, and the tournament’s tradition never faded. 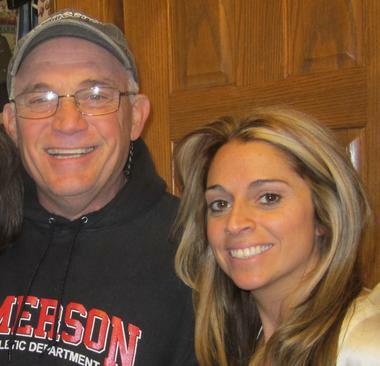 Even in 2009, when Steve underwent heart surgery on March 13, and was unable to coach, he was there, along with his wife Doreen, watching the tournament, as his youngest daughter, Lea, who played for Steve when she was a student at Emerson, served as a coach for her alma mater. For the entire 15 years of EDSAF, Steve and Andrea would always be there, coaching and supporting a wonderful cause. A photo for the ages. True love between Ari and Nexus. Sadly, Ari’s condition began to deteriorate and she was unable to attend the tournament the past few years. Nexus would transition to the Rainbow Bridge. And then, on May 1, 2018, Ari was called home. She died peacefully, surrounded by her family. Andrea Mondadori-Llauget, now a wife and mom, as well as her continued work as West Essex’s softball coach, spoke of the tournament’s legacy. “The EDSAF tournament was a huge part of my dad’s life, for so many years,” said Andrea. “A lot of people were instrumental to the success of the tournament, which ultimately kept Ari’s bills paid, her spirits up and the community to keep fighting for her. “My father and sisters were so lucky to become members of the Emerson family, and that tournament showed the character of the entire town. Moms, brothers, sisters, husbands, cousins and friends all rallied for Ari, and her family. My father’s heart is in Emerson because of Ari. She is missed greatly. The tournament this year will be bittersweet, as it comes to a close. I hope everyone that helped over the past 20 years knows how much they meant to Ari. Nancy Graf, the Emerson softball coach, announced that this will be the last year of the tournament. Graf’s letter went on to say that this year’s tournament will be called the Emerson Softball Tournament, instead of EDSAF. “We will still have a game day program, concession stand, music and of course some great softball,” Graf wrote. Here is this year’s schedule of games. Mia Faieta and Julia Vardiman put on the expected solid pitching display, as Cedar Grove, No. 1 in the FMTC Top 10, defeated No. 3 West Essex, 4-0, in a Super Essex Conference (SEC) American Division battle, at Panther Park, on April 10. Faieta helped Cedar Grove improve to 6-1 by throwing a 1-hitter, with 18 strikeouts, four walks and three hit batsmen. Vardiman also threw the ball well for the Knights, which had its 3-game winning streak snapped. The senior fanned nine, walked four, scattered three hits and allowed just one earned run. 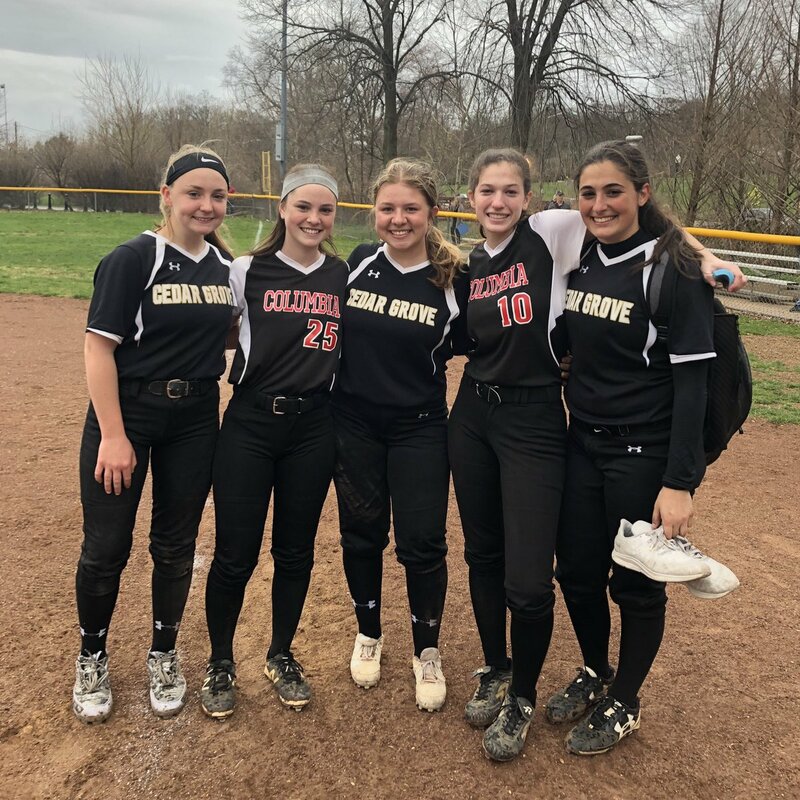 Cedar Grove’s offense was paced by junior Jules Cicala, who laced a key 2-run double in the fifth inning, when Cedar Grove scored three times to extend its lead to 4-0. 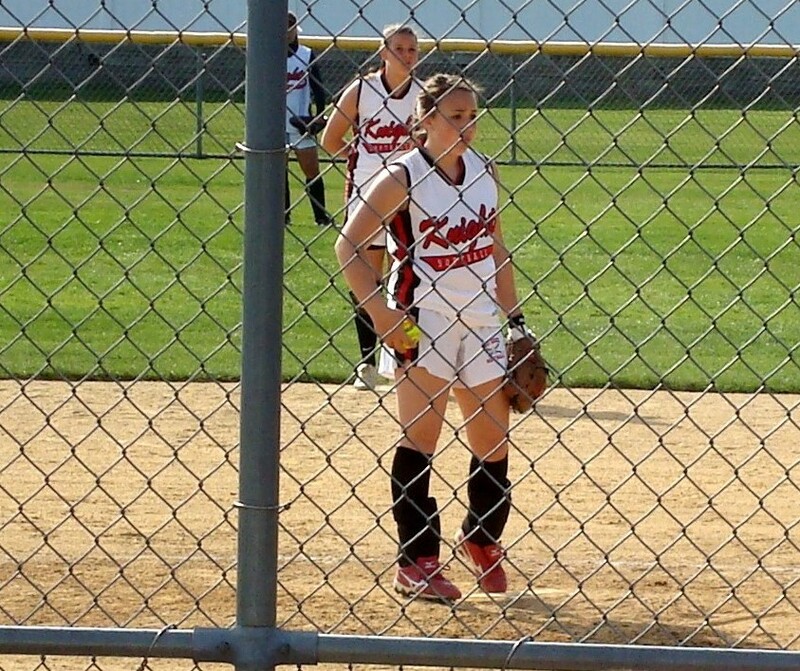 Katie Peterson and Brittany Taylor also had hits for Cedar Grove. Vardiman was on base three times, twice on walks and once on a hit-by-pitch. West Essex is 3-2. CALDWELL 6, VERONA 2: The Chiefs scored six runs in the first three innings to improve to 4-2 on the season. Caldwell will take on arch rival West Essex in the first of two games this season, on April 12, at home. NUTLEY 19, MILLBURN 1: The Raiders won its second straight, with a road victory at Millburn, in an SEC American Division contest. Nutley will have a big game on April 12, at home, against Mount St. Dominic. MOUNT ST. DOMINIC 6, LIVINGSTON 0: A 9-hit Lions attack ended Livingston’s 5-game winning streak, in Livingston. Mount St. Dominic improved to 6-2. The Lions will visit Nutley in an SEC American battle on April 12. COLUMBIA 10, WEST ORANGE 2: The Cougars got back on track with a win, at home, against West Orange. Columbia (4-2) scored seven runs in the first inning to set the tone in an SEC Liberty matchup. Hudson Hassler and Olivia Miller had 3 hits each for Columbia while Cara Harrington had two hits.